The first leg against the death-worshipping god turned out to be a disastrous one for the Earth’s mightiest heroes. As of last year’s Avengers: Infinity War, Thanos is up 1-0 on team Cap, and the wait for the second clash has been killing the fans. Amidst the anticipation, Marvel has turned out to be unusually generous in terms of trailers and teasers. All of the footages were more than enough for theorists to decode an array of postulations on what each characters’ role would be in the next Avengers movie but the one identity that is yet to be decided on the part is the ultimate threat Thanos, himself. 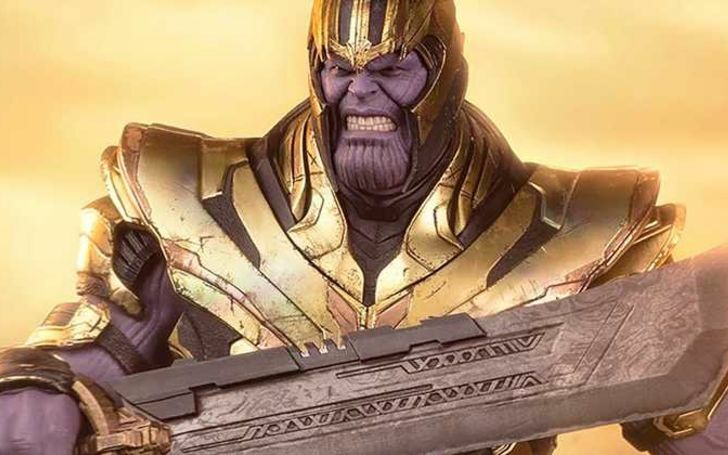 Thanos is getting a new weapon in Avengers: Endgame. But once again the promotional features seem to have done the job. 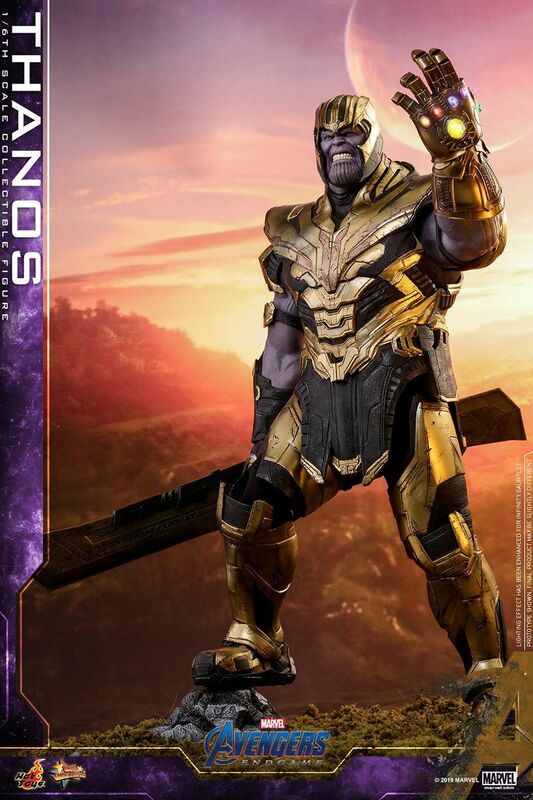 The biggest spectacle of the year was bound to have had at least few or two merchandises along the way and thanks to this gorgeous new figure from Hot Toys, the Mad Titan is on full display where he looks all at command to once again face the Avengers. Steve Rogers and Tony Stark may have whatever the ace up their sleeves against Thanos but the giant is not one to take for granted; geared on his full armor, along with his shiny new weapon, and sporting a scowl that’s—the Eternal Deviant looks more menacing than Infinity War. Indeed, this is the look of someone whose plan for retirement has been disturbed rather abruptly by a group of heroes looking to reverse his actions. Though, the focus of the day goes to the aforementioned weapon, as we get a detailed look at it. However, there’s no information on where the Mad Titan gets it or even why he’s wielding the particular weaponry. Perhaps now that the Infinity Gauntlet appears to be burned out following the “disintegration,” he may supplement himself with this dangerous-looking double-edged sword to make sure that his morale of a balanced universe isn’t tethered. Thanos may have the combined power of Infinity War and Infinity Gauntlet. 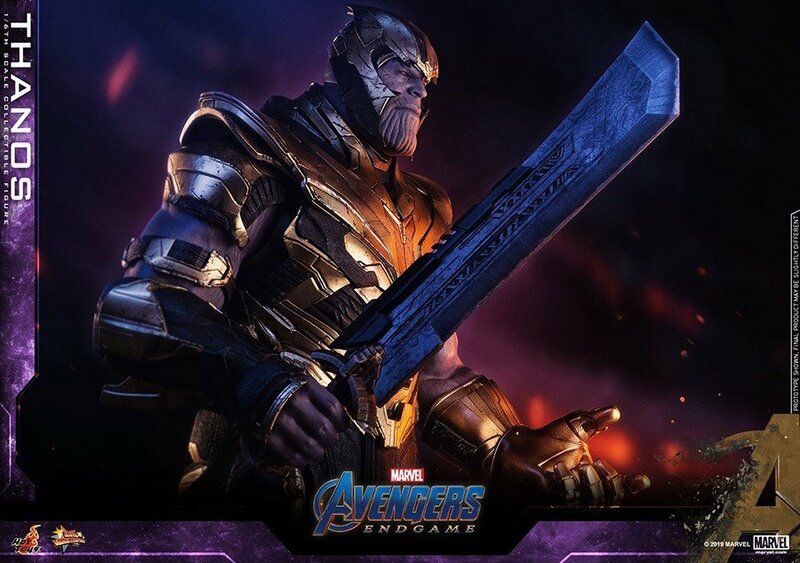 Some comic goers, on the other hand, have raised a seemingly popular theory that this could be a version of the Infinity Sword, a little-known weapon from the Marvel lore. This comes from a specific episode of The Superhero Squad Cartoon where Thanos can be seen combining the Infinity Sword with Infinity Gauntlet to amplify his power even further. Well, it’s far from impending that we are going to see such dynamics based on a quirky, oft-maligned show, but Thanos also isn’t the one who’s just simply waiting for the gangs in a complete disarmed state. But for the time being, it’s all left to see for ourselves once Endgame roles out into the theaters on 26th of April.